Two children are trapped in a hounted house. A pair of insatiable THIRSTIES roam around traying to catch them! Help the children avoid the dangerous THIRSTIES and collect all the makings for a batch of KOOL-AID soft drink mix. Hooray! 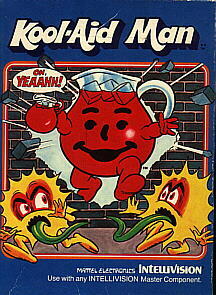 KOOL-AID MAN comes to the rescue! 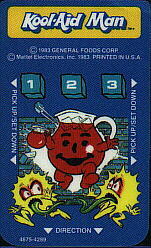 From then on - the THIRSTIES, plus PHANTOM FLAVORS get chased by KOOL-AID MAN!